Nicotine addiction is highly cue-dependent, meaning that certain situations or places will make smokers crave a cigarette even if they’re trying to quit. 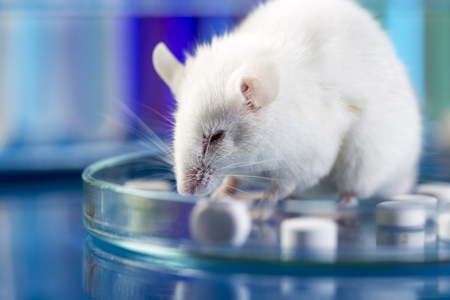 Researchers working with rodents are exploring a combination of treatments that address different behavioral and neurobiological mechanisms to reduce nicotine addiction. In a recent study by Cassandra Gipson-Reichardt and colleagues, N-acetylcysteine reduced cue-induced nicotine seeking, while varenicline reduced nicotine self-administration. Together the drugs worked better to reduce nicotine relapse than either drug on its own. In the study, rats were trained to self-administer nicotine (with 0.02mg/kg infusions), and cues were used to reinstate nicotine seeking. The rats were treated with 10 and 30 mg/kg injections of NAC and 1 and 3 mg/kg injections of varenicline. Relapse is associated with rapid synaptic potentiation in the reward area of the brain, the nucleus accumbens. In addition to the positive behavioral changes noted, NAC also inhibited this synaptic potentiation, limiting rapid changes in the size of spines on dendrites and reducing the ratio of AMPA to NMDA (two different compounds that mimic glutamate) in the core of the nucleus accumbens. Editor’s Note: The combination of NAC and varenicline has not yet been studied in humans, but because both compounds are effective in reducing smoking, it is likely that this animal research on nicotine will be replicated in humans who are addicted to the nicotine in cigarettes.